The Sony ICF-CS15iPN is designed for the iPhone 5, the iPod Touch 5th generation, and the iPod Nano 7th generation which use the Lightning Connector (not 30 pin). 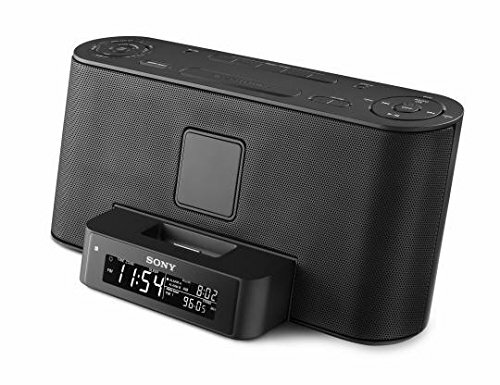 It has all the features you demand of a clock radio including sleep, snooze, dual alarm settings, LCD brightness options and your choice of alarms (radio, buzzer or music/audio from your device). 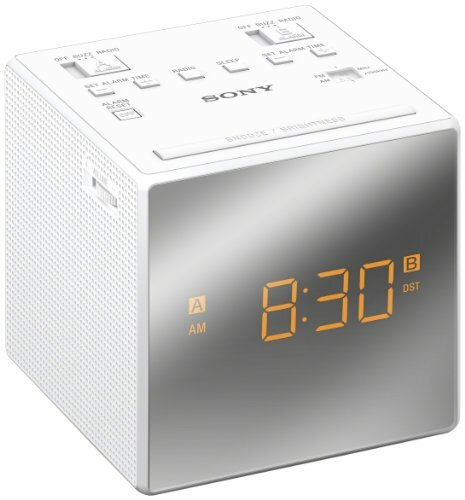 The clock, alarms and all your station presets are backed up with a CR2032 battery, and the unit is powered by 120v AC. 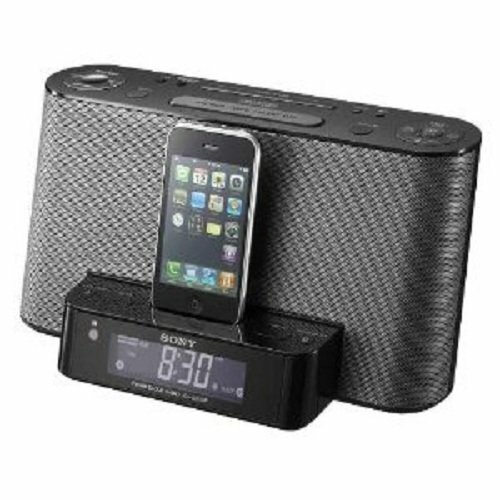 Charge your device while listening to high quality digital sound. Features MEGA BASS and MEGA Xpand options, and control it all with the supplied remote. A free Sony App (D-SappliTM), available at iTunes, enables expanded speaker functionality when using an Apple device. MEGA BASS and MEGA Xpand for full, clear sound quality. Includes Remote to Control this device, and Your iPhone or iPod (with free Apple app) from across the room. Auxiliary In jack: standard 3.5 mm. 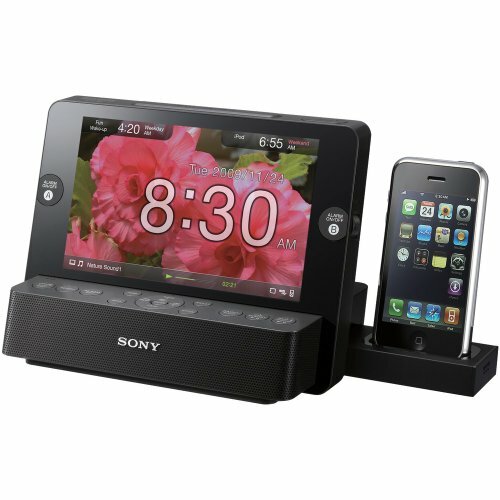 This SONY personal audio system was made for the iPhone 5, iPod Touch (5th generation), and iPod Nano (7th generation). Charges your device while connected. Powered by 120v AC, 60 Hz. NOT BATTERY POWERED, but does include a 3v CR2032 button battery to back up your personal settings. 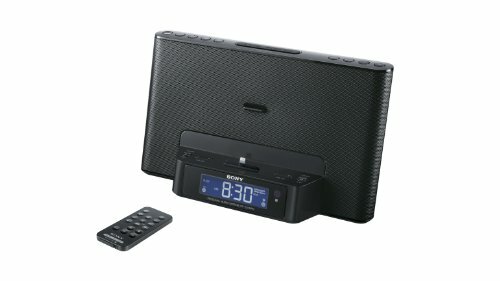 AM/FM/Clock Radio, Digital Audio with DREAM MACHINE auto time/Daylight Savings Time set (when initially plugged in factory default will be EST zone). 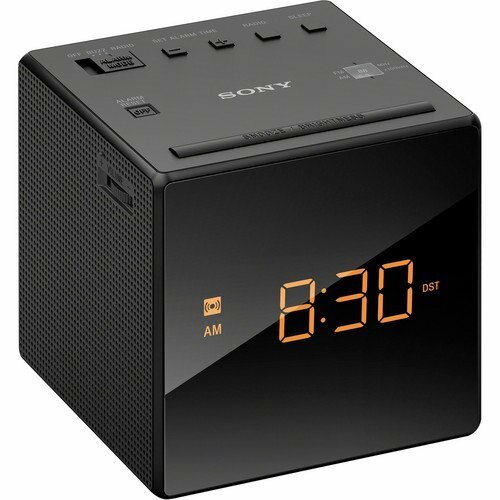 Sleep timer options: 10, 20, 30, 60, 90 and 120 minutes. Snooze: 10 minute intervals up to 1 hour. Dual alarms capable with 2, 5, or 7 day alarm settings. 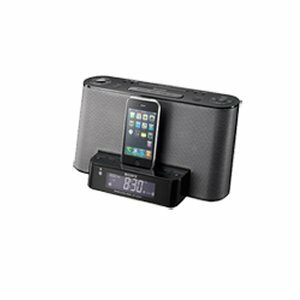 LIGHTNING CONNECTOR Dock compatible with the iPhone 5, iPod Touch, and iPod Nano. ** Dock designed to hold compatible devices WITHOUT a case. Some iPhone/iPod cases may not allow for upright docking. Can still be used with a Lightning connector male to female cable (not included). 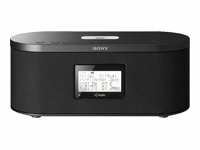 30 programmable radio station presets (20 FM, 10 AM). 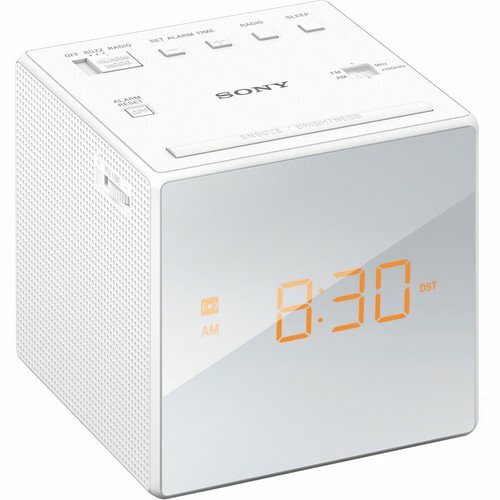 Dual alarms feature with 2, 5, or 7 day alarm settings. 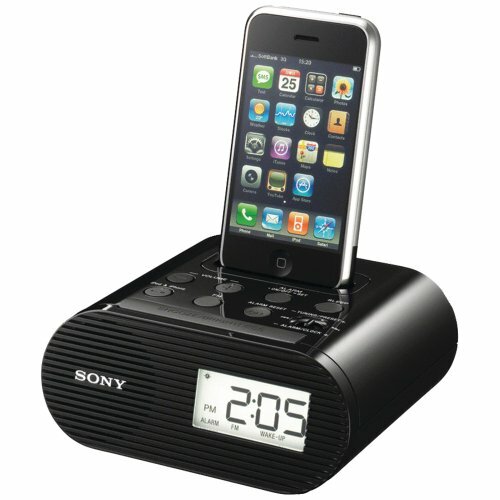 Sleep to and wake up with your iPhone, iPod, Radio or Buzzer. Easy adjust LCD brightness control (three plus off option). The four anti-slip rubber feet hold the Sony ICF-CS15iPN 1/8" off a flat surface. Product dimensions: 11.25" wide, 6.5" tall, and 5.75" deep at the base (290x165x145mm).